We partner with healthcare organizations to deliver an accurate medical equipment inventory that helps to reduce capital spend and maximize the value of your assets. Understanding what equipment you have, the condition, and where it is located within your facility will allow you to more accurately manage your asset portfolio. Some organizations decide to use in-house staff to perform the inventory requirements while not understanding the impact that has on your personnel, patients, and the quality of your inventory. Working with an experienced inventory team allows for faster completion with more accurate results and less disruption to your patients. Conducting an inventory can be a challenging task but using proven processes built by MERC, our team is able to manage both small and large projects efficiently. We identify your need and specific situation. Some of the common purposes of conducting an inventory may include a facility or physician acquisition, transition to another facility or expansion, financial accounting, changes in ownership, new construction, and recording surplus assets. To understand your goals and how to best approach an inventory, together we determine a scope of services; and, by assessing the size of the project, types of assets involved, asset threshold and more, we arrive at a custom-fit service package for the facility. We understand the challenges of a healthcare organization and work with you to coordinate an inventory that accommodates your patient census, surgery schedules, clinical schedules, staff availability and other needs. In preparation for the inventory, we learn abut your visitor protocol and work with your staff to understand processes and procedures, mutually setting a schedule and informing your staff on the incoming inventory team. We begin the process of locating and documenting your assets and continue until fully accounted for. If desired, we will also perform equipment assessments and asset tagging. After completion of the inventory MERC will deliver a spreadsheet of inventoried assets. Additionally, based upon the scope services requested, a facility may receive asset ledger reconciliation, Estimated Remaining Useful Life, and further analytics packages. At the end of a completed inventory, we will provide you with actionable data to more accurately manage your assets. More directly, you will have the facts necessary to make decisions that will reduce capital spend, and better manage your finances with reconciliation to the facility asset ledger. You will receive an updated list detailing your medical assets and their location within your facility for transparency, utilization, and management. Get in touch with our team to learn more. 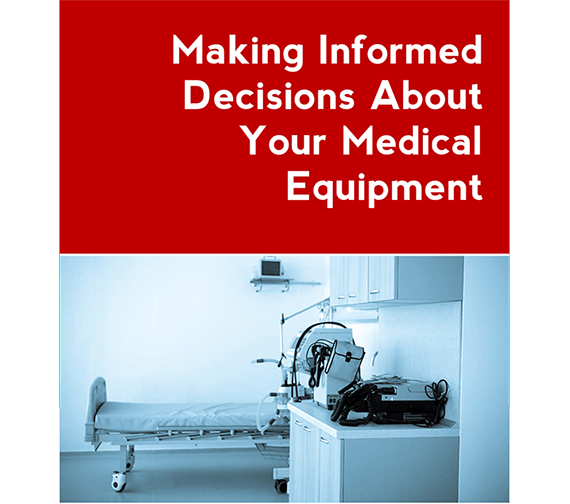 What information you need to make the right decisions on your medical equipment. Why knowing your Estimated Remaining Useful Life will save your facility money. A clear example of an Assessment and ERUL. 2399 S College Hills Dr.